A Door Separates You from Success— Here Is the Key That Opens It. Florence Scovel Shinn, the beloved author of The Game of Life and How to Play It, left the world one final, brilliant book written in 1940: The Secret Door to Success. In simple, practical terms, Shinn shows you exactly how to remove the barriers that keep you from love, money, purpose, and personal power. 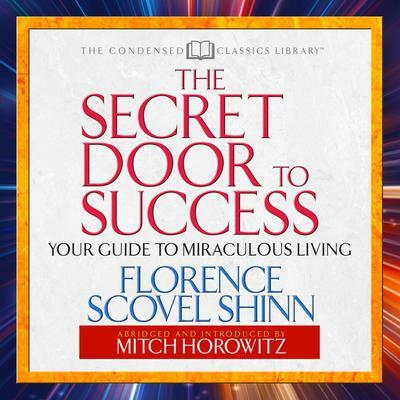 Now abridged to its essentials and introduced by PEN Award-winning historian and New Thought writer Mitch Horowitz, this special Condensed Classics edition of The Secret Door to Success gives you, in less than one hour, the tools to start living your highest life today.